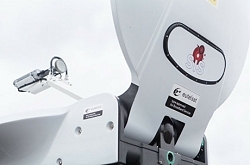 SIS LIVE to distribute Eutelsat's NewsSpotter SNG system. Paris, September 2015: SIS LIVE, leading broadcast connectivity supplier, has signed a distribution agreement with Eutelsat Broadband to use and resell its innovative NewsSpotter newsgathering service. SIS LIVE offers a diverse range of occasional use and fixed connectivity solutions for critical media content. This includes a robust fibre-based media network, satellite services, global distribution and the largest mobile uplink fleet in Europe. The company also designs and manufactures an innovative range of satellite terminals. The NewsSpotter service, provided via Eutelsat’s KA-SAT satellite, has transformed the ease and economics of satellite newsgathering. The latest generation of lightweight equipment, with guaranteed bandwidth up to 10 Mbps, supports transmissions of live video and audio in SD and HD. “Flexibility and mobility are at the heart of the NewsSpotter service and the adoption of our technology by Europe’s most respected outside broadcast solutions provider is a further endorsement of the revolutionary effect that NewsSpotter is having on the industry,” said Steve Petrie, Sales Director for Northern Europe for Eutelsat Broadband. As a completely IP-based service, NewsSpotter is adapted for quickly deploying and sending live video/audio news feeds, enabling broadband Internet access and high-speed store-and-forward files and FTP. Bandwidth can be reserved on a pay-as-you-go basis through an online booking system, whilst also offering an always on background broadband Internet access service. Users simply log in to enter their terminal number, location, time slot and the desired bandwidth is exclusively allocated. SIS LIVE’s NewsSpotter approved terminals are built to a very high quality, are compact and lightweight for ease of transportation, simple to operate by non-engineers and provide high value throughout the term of ownership. Tripod and vehicle mount terminals are available in a range of sizes with fully-automated or manual acquisition.